Jacob Dantzler received a land grant (1, p. 8). 1846  Dr. Lewis Dantzler was issued a land grant for 703 acres that had been part of his relative Jacob Dantzler's grant (1, p. 8). During the Civil War, a small band of Union soldiers approached the house. Upon seeing a Masonic emblem on the front door, they spared the house and its occupants. Dr. Dantzler was also known to treat both Confederate and Union soliders during the war. Blood stains on the upstairs pine floors from this period remain to this day (3). 1878  Dr. Lewis Dantzler died and left the plantation to his son, Irvin H. Dantzler (1, p. 8). 1920  Irvin H. Dantzler passed away and willed Dantzler Plantation to nephew, Frederick Connor Dantzler (1, p. 8). 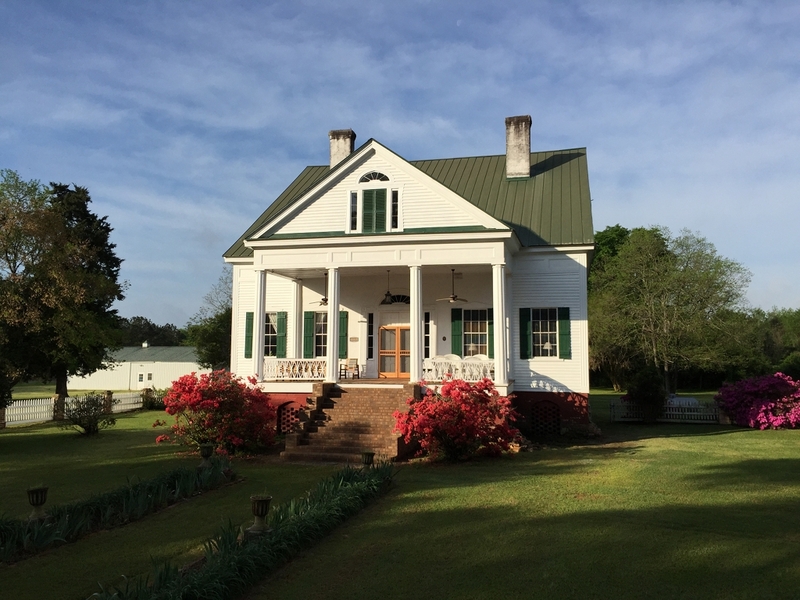 1930s  Blanch Dantzler, wife of Frederick, operated a popular travelers stop and boarding house called SunnySide House at Dantzler Plantation. Rates were $1.00 a night to sleep and 35 cents for a meal (1, p. 8) (3). 1973  Frederick Connor Dantzler's daughter, Doris Dantzler Henry, inherited the property when her father died (1, p. 8). 1989  Doris Dantzler Henry died and left the home to her husband Tom Henry (1, p. 8). 2007  Michael and Doris "Deedee" Dantzler Henry Kullenberg were owners of Dantzler Plantation. Deedee is the great-great-grand niece of Dr. Lewis Dantzler. The Kullenbergs lovingly restored the house (3). The plantation house is still standing, however, no outbuildings survive.